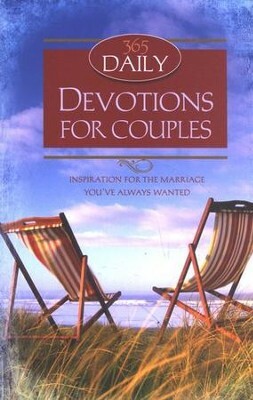 Newlyweds and longtime marrieds alike will appreciate this collection of relevant, practical meditations. Featuring readings for every day of the year plus unique weekend activities, these easy-to-read ingredients and instructions for a happy, healthy marriage are designed to prompt important discussions, encourage open communication, and keep your relationship strong. This couples' devotional book provides relevant, practical devotions designed to start important discussions and keep relationships strong. With a reading for every day of the year-including unique weekend activity ideas-Daily Wisdom for Couples will challenge and encourage both newlyweds and old-timers alike. "God instituted marriage and offers it as a blessing, but our relationships are what we make of them," the introduction reads. "When we put good things into them, they improve." In each of these brief, easy-to-read entries, Daily Wisdom for Couples will show both the ingredients and the instructions for a happy, healthy marriage. Pamela L. McQuade is a freelance writer and editor with dozens of projects to her credit. She began her Barbour writing career with coauthor and good friend Toni Sortor, then moved on to write solo. She has also coauthored The Top 100 Men of the Bible with her husband, Drew, under the name Drew Josephs. Over the years, four basset hounds and three cats have made the McQuade turf their home. Pam and Drew volunteer with a local basset rescue and live within sight of Manhattan's Empire State Building. I'm the author/artist and I want to review 365 Daily Devotions For Couples - eBook.